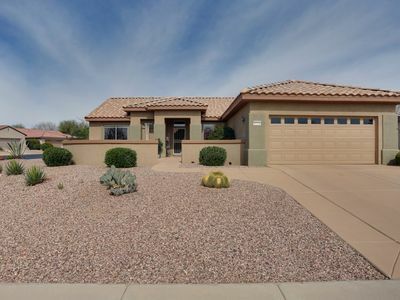 Spectacular Rio Verde Home w/Country Club Amenities, 3 bdr, 3.5 bath on TEE box! 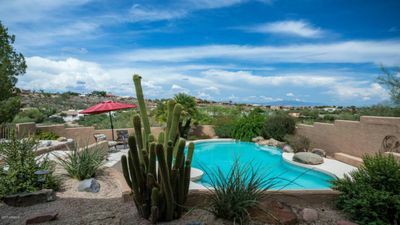 This Rio Verde oasis is calling your name! 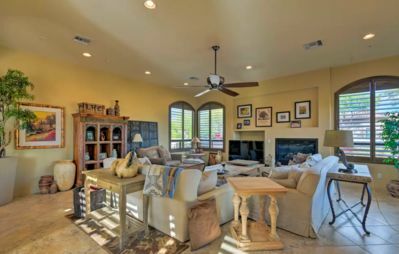 The stunning 3,618-square-foot vacation rental home for 9 has 3 bedrooms and 3.5 bathrooms. 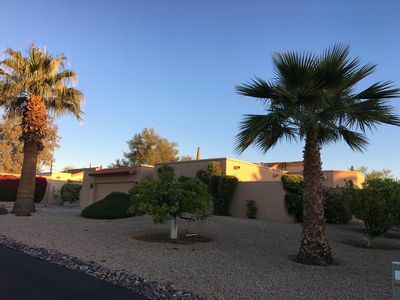 The property, located on the 10th tee of the golf course, is part of Tonto Verde Country Club and offers amenities like golfing and a fitness center. 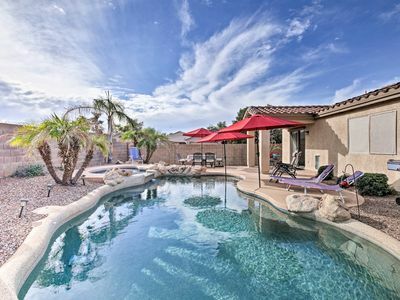 With a luxurious backyard and decadent interior, this house will have you feeling more than relaxed. 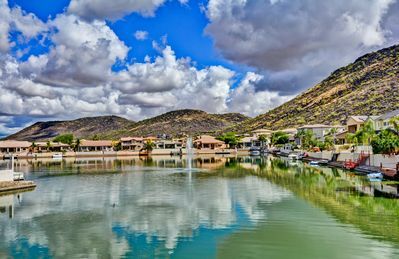 When you're not at the country club, enjoy visiting the Waste Management Open or exploring Old Town Scottsdale. 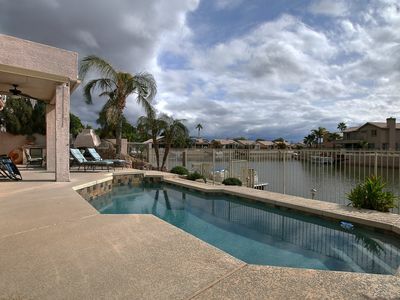 You'll be treated to pure luxury from the moment you arrive at this beautiful home. 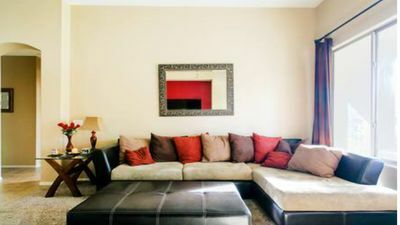 The living room features plush furniture, a flat-screen TV, and stunning views of the back yard and golf course. 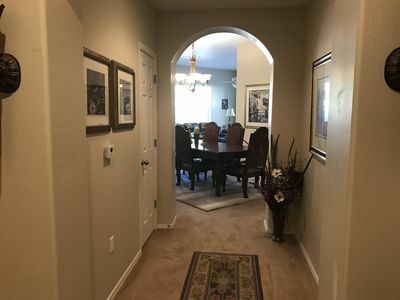 Prepare delicious meals in the fully equipped kitchen and feast at the formal dining table. 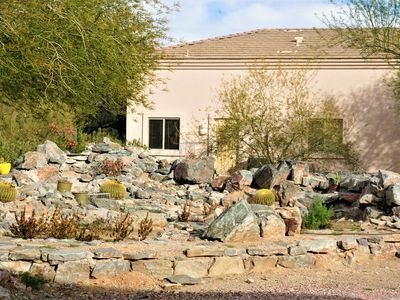 Beautiful landscaping and stunning views make up the backyard sanctuary. 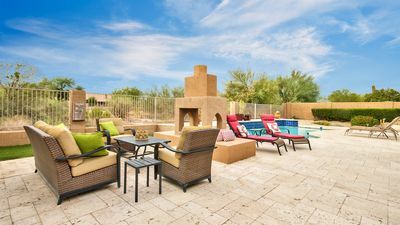 Comfortable furniture and a lavish fire pit make this spot one you'll remember forever. 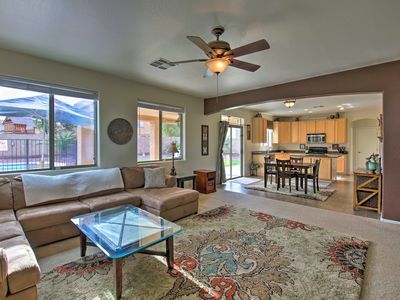 Take advantage of the built-in grill for a cookout or simply enjoy the peace of the Arizona desert. The master suite features a plush king bed, flat-screen TV, and a spa-like bathroom with a large soaking tub and spacious vanity. Each bedroom boasts comfortable beds, walk-in closets, and gorgeous views. 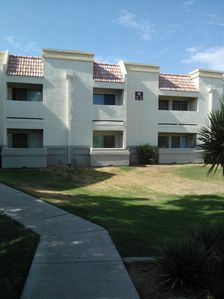 The home is part of Tonto Verde Country Club and includes access to all the premier amenities. Enjoy golfing on either of the 18-hole championship courses, embark on scenic bike riding trails, take a fitness class, or make new friends while hiking! End your evenings with a delicious meal at the Mesquite Grill! 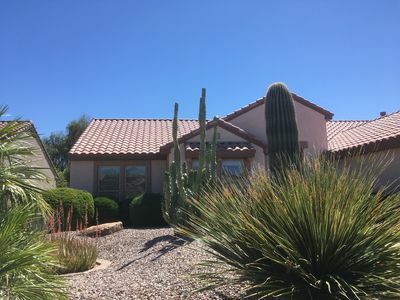 Watch "The Greatest Show on the Grass" when you head to the Waste Management Phoenix Open at the TPC Scottsdale Stadium Course, 23 miles away. In addition to the much-anticipated tournament, enjoy motivational speeches, a trick shot show, and more. 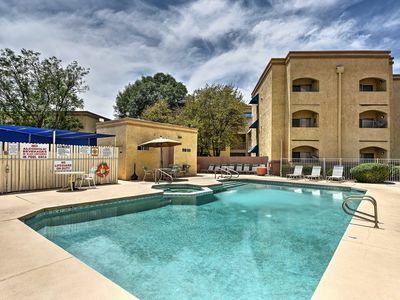 Old Town Scottsdale, 30 miles away, includes something fun for everyone. Treat yourself with a visit to one of the decadent spas, peruse the numerous art galleries, explore the art and history museums, and dine at one of the many top-rated restaurants. 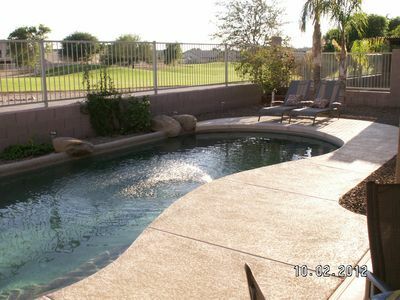 Fountain Hills Home With Heated Pool/Hot Tub and Amazing Views! Spring Training central! 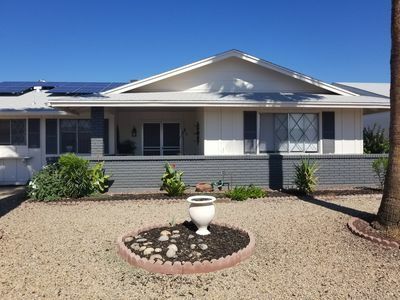 Family-Friendly home near ALL West Valley hotspots! 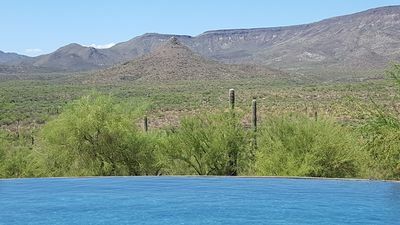 SUN CITY! 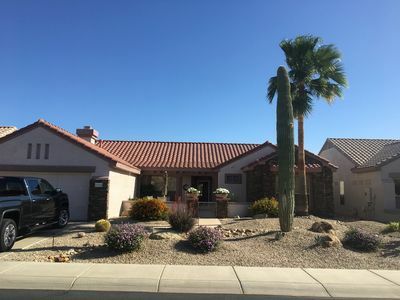 Arizona Resort Living-Sun, Golf Pools and Much More in 55+ Community. NEW! 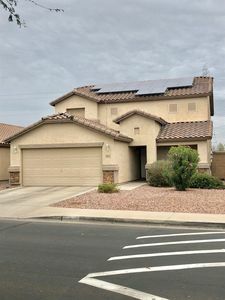 Phoenix Area Home w/ Private Pool & Patio!